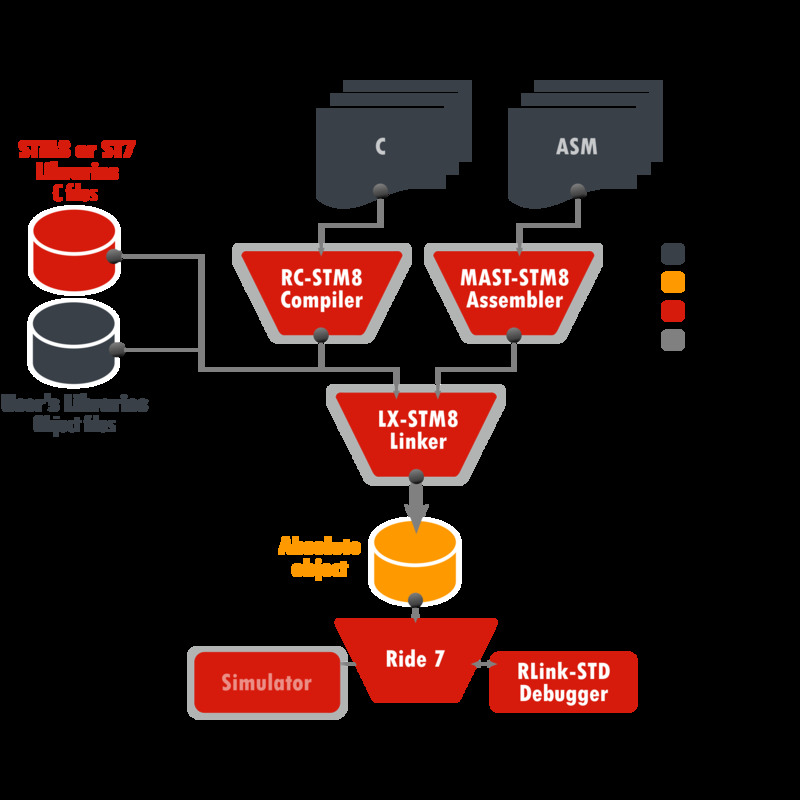 The RKit STM8/ST7 "Enterprise" (RKitE-STM8) software toolset in conjunction with the Ride7 integrated development environment provides a complete, unlimited and fully optimizing solution for compiling and debugging your applications for STM8 and ST7 microcontrollers. The toolset allows debugging of applications with Ride7 using the SIMICE software simulator or the Raisonance RLink in-circuit debugger/programmers, REva starter kits or Primer products for STM8 and ST7 microcontrollers. If you require the installation on a CD, add the optional MCU-Software-CD to your shopping cart.